The Thirty Years’ War was a pervasive, horrible war that ravaged Europe from 1618-1648, and devastated not only the population but also the cultural heritage of much of Europe. Rather than relying on a long tradition of classical art music, musicians had to draw on what they found and heard around themselves. Many of these composers developed a regional model based on the “fantastical style” (stylus fantasticus)… The result is the drunken country fiddler and his band playing… in church! In the darkest shadows of war, music had the immense power to motivate, unite, comfort, heal, and lift people out of the depths of their grief. This program explores a style of music with an incredible range and depth of human emotion. There is heartwrenching sorrow in Johann Christoph Bach’s lament Ach, dass ich Wassers gnug hätte, and feelings of resignation and yearning for a better day to come in David Pohle’s Herr, wenn ich nur dich habe. There is also music of hope for a brighter tomorrow, including the virtuosic and passionate ciacona from Johann Christoph Bach’s cantata Meine Freundin, du bist schön, written for a Bach family wedding, and the barely-contained overflowing joy of Johann Pachelbel’s now ubiquitous Canon and Gigue, heard here in its historical context. 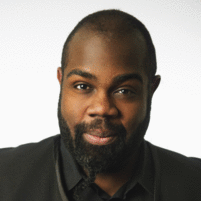 Reginald Mobley is a “young countertenor destined to make his mark” (-Chicago Tribune). A regular soloist with Sir John Eliot Gardiner and the Monteverdi Choir and English Baroque Soloists, Mobley recently made his debut with the Academy of Ancient Music, as well as with the Royal Scottish National Orchestra, the Seattle Symphony, and the Calgary Philharmonic Orchestra. He has two recordings with Agave Baroque—Queen of Heaven, which features the music of Isabella Leonarda, as well as Peace In Our Time, released in the Summer of 2017. Also in 2017, Mr. Mobley was featured as alto soloist in a new recording of J.S. Bach’s St. Matthew Passion led by Sir John Eliot Gardiner. Call the box office at 510-528-1725 or email us <tickets@sfems.org>. 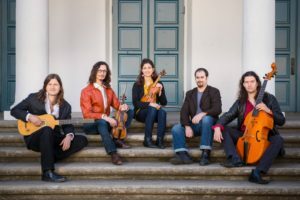 AGAVE BAROQUE is “an energized, free-spirited group” (Early Music America Magazine, Fall 2014), based in the San Francisco Bay Area, and specializing in string chamber music of the seventeenth and eighteenth centuries. Agave has received numerous awards and accolades and gained local and national attention for its “rapturous music,” “brilliant… profound playing” (EMA Magazine), and growing discography. Now in its ninth season, Agave continues its fruitful affiliations with star countertenor Reginald Mobley, San Francisco Friends of Chamber Music, and Marin Baroque, and continues to be a unique and innovative voice in the chamber music community nationally. During its initial season, Agave was selected by Early Music America to perform in a showcase concert at the APAP Convention in New York. In 2009, The Museum of Jurassic Technology in Los Angeles commissioned Cold Genius: The music of Henry Purcell, which Agave premiered at the MJT in 2010, and subsequently recorded. In 2011, EMA selected Agave Baroque as one of five finalists in the NAXOS/EMA Recording Competition. In 2012, the San Francisco Early Music Society chose Agave to present a main stage concert on the 2012 Berkeley Early Music Festival, about which Early Music America Magazine said, “Rapturous music and impressive playing…[Agave Baroque] kept the audience entranced.” Later in 2012, EMA selected Agave to compete in New York as one of six finalists at their Baroque Performance Competition. Agave received a generous grant from the San Francisco Friends of Chamber Music to record Friends of Ferdinand, which VGo Recordings released in 2013. For the 2014-15 season, Agave became an ensemble in residence at the San Francisco Friends of Chamber Music/Presidio Trust’s new concert series Presidio Sessions, collaborated with Los Angeles new music concert series Jacaranda: music at the edge, and embarked on a Southeastern US tour with Reginald Mobley. In 2015, Agave released Queen of Heaven: music of Isabella Leonarda, their first of two CDs with Mr. Mobley, a countertenor “destined to make his mark in the early music world” (-Chicago Tribune). In 2016, Mr. Mobley and Agave collaborated on a second album, Peace in Our Time whose upcoming release will mark the 400th anniversary of the start of the Thirty Years’ War, when conflict and The Plague ravaged much of Europe. The album features sublime, heartfelt music, which brought people above the conflict and provided much needed comfort and expression of sorrow. Agave Baroque has performed to sold-out crowds throughout the Bay Area, including Barefoot Chamber Concerts, Chamber Music Day, Chattanooga Chamber Music, Old First Concerts, Sonoma Bach, MSRI, and Trinity Chamber Concerts, as well as at Fresno City College, Fresno Pacific University, the Museum of Jurassic Technology, Jacaranda, The Arizona Early Music Society, Seattle Early Music Guild, University of North Carolina School of the Arts, Appalachian State University, and the Berkeley Early Music Festival. On-air appearances include KPFK Pacifica Radio in Los Angeles, WDAV (North Carolina), New Mexico Public Radio, as well as several features on NPR’s Harmonia early music radio program. Agave Baroque has also presented two programs to groups of K-12 educators as part of the San Francisco Symphony’s “Keeping Score” program. Agave Baroque’s core lineup features phenomenal countertenor soloist Reginald Mobley on several programs and two albums (one upcoming), along with Aaron Westman and Natalie Carducci, baroque violins; William Skeen, baroque cello and viola da gamba; Kevin Cooper, baroque guitar and theorbo; and Henry Lebedinsky, harpsichord and organ. They are joined regularly by Anna Washburn and Katherine Kyme on baroque violin and viola, and Gretchen Claassen on baroque cello. Particularly noted for his “crystalline diction and pure, evenly produced tone” (Miami Herald), as well as an “elaborate and inventive ornamentation” (South Florida Classical Review), Countertenor REGINALD MOBLEY is highly sought after for baroque, classical and modern repertoire. Past performances of note include premiering a reconstruction of Bach’s Markus-Passion at the Oregon Bach Festival, devised and led by Matthew Halls, a premiere of Eric Banks’ “Aluta continua: the passion of David Kato Kisule” with Coro Allegro, concerts of Bach’s Easter Oratorio and Lully’s Te Deum with Bach Collegium San Diego, and an extensive tour of sixteen concerts around Europe singing Bach’s Matthäus-Passion with the Monteverdi Choir & English Baroque Soloists led by Sir John Eliot Gardiner. Upcoming engagements in the ‘2016/2017’ season include a tour and recording of Bach’s Magnificat with Sir John Eliot Gardiner, concerts of Handel’s Messiah with the Royal Scottish National Orchestra, several performances with the Seattle Symphony and Calgary Philharmonic Orchestras as well as an innovative project with the Academy of Ancient Music entitled ‘Bach Reconstructed’. Next season will also see the release of a new disc called ‘Peace In Our Time’ with Agave Baroque, focusing on the 400th anniversary of the beginning of the Thirty Years’ War – one of the longest and most destructive in European history. Aaron co-directs the award winning ensembles Agave Baroque and LOBO. VGo Recordings recently released Concertos for Winter, which features Aaron as a soloist in two Vivaldi concertos with LOBO alongside co-director Elizabeth Blumenstock. Later this year, VGo will release Agave’s fourth album, Peace in Our Time, featuring internationally acclaimed countertenor Reginald Mobley. Aaron holds a Master of Music from the Indiana University School of Music. His principal teachers were Stanley Ritchie, Elizabeth Blumenstock, Alan de Veritch, Theodore Arm, and Geraldine Walther. Aaron is currently music director of the Santa Rosa Symphony’s Young People’s Chamber Orchestra, and in the summers teaches in Tuscany. For three years, he taught at California Institute of the Arts. 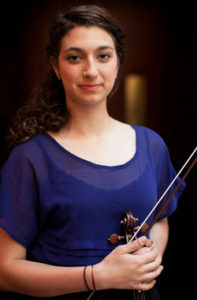 Violinist NATALIE CARDUCCI performs throughout the United States, appearing in venues ranging from Avery Fisher Hall in New York City to intimate cafes in the San Francisco Bay Area, where she is currently based. A versatile chamber and orchestral musician with a special interest in early music, she has recently performed with Bach Collegium San Diego, Pacific Bach Project, El Mundo, The Albany Consort, the San Francisco Bach Choir, One Found Sound, Karl Cronin and the Americana Orchestra, Magik*Magik Orchestra, and is a founding member of MUSA and the Alchemy Trio. In 2012, she won the Voices of Music Bach Competition, giving her the opportunity to perform in their concert series. This season she will also appear on the concert series Noe Valley Chamber Music, Benvenue House Music, and Santa Cruz Chamber Players. Natalie has collaborated with renowned artists Steven Dann, Kenneth Slowik, James Boyd, and members of the Columbus Symphony Orchestra and has appeared in music festivals around the world, including the St. Lawrence String Quartet Seminar, Tafelmusik Baroque Summer Institute, the International Music Academy Pilsen in the Czech Republic, Le Domaine Forget in Quebec, the American Bach Soloists Academy, Vancouver Baroque Instrumental Programme, and the Britten-Pears Baroque Orchestra in Aldeburgh, England. Natalie has performed under the baton of Christophe Rousset and Christian Curnyn, and in master classes for Jeanne Lamon, Amandine Beyer, and Rachel Podger, among others. Passionate about the impact music can have in the lives of children, Natalie teaches at the non-profit Northern California Music and Art Culture Center and has coached inner-city school children through the Chamber Music Connection program in her native city of Columbus, Ohio. Natalie received her Master of Music degree at the San Francisco Conservatory of Music, her Bachelor of Music degree from SUNY Purchase College Conservatory of Music, and her SAA Suzuki Teacher Training at the Hartt Suzuki Institute in Hartford, Connecticut. Her main teachers have included Michael Davis, Laurie Smukler, Calvin Wiersma, Ian Swensen, and Elizabeth Blumenstock. A certified Pilates instructor, Natalie promotes body-mind awareness for sustained physical well-being and enjoys sharing her knowledge with the music community at large. 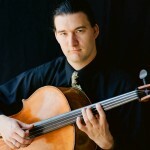 WILLIAM SKEEN, viola da gamba and violoncello, plays principal cello in Philharmonia Baroque Orchestra, American Bach Soloists, Portland Baroque Orchestra, Musica Angelica, Pacific Music Works in Seattle, Pacific Baroque Orchestra in Vancouver, and the Bach Collegium of San Diego. In addition to performing with almost every baroque orchestra on the west coast, he is Associate Principal cellist and Viola da Gamba soloist with the Carmel Bach Festival. Mr. Skeen is a sought-after chamber musician. He co-founded the New Esterhazy Quartet, La Monica, and is a member of the 54th Annual Grammy-nominated ensemble, El Mundo. He has performed with the National Symphony of Mexico. the LA Philharmonic and the Dallas Symphony, and often tours the Americas with Musica Angelica, the Wiener Akademie of Vienna, and actor John Malkovich. KEVIN COOPER is a classical and baroque guitarist from central California with an affinity for the extremes of modern and early music. 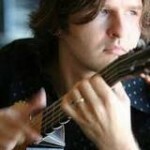 He performs regularly as a soloist and with Agave Baroque and Ensemble Mirable. He also appears with Les Suprises Baroque, Live Oak Baroque Orchestra, Accademia d’Amore Baroque Opera Workshop, Long Beach Camerata Singers, and the Corona del Mar Baroque Festival Chamber Orchestra. Kevin’s publications range from guitar quartet arrangements of Carlo Farina’s Cappricio Stravagante to a collection of folk and children’s songs entitled Snakes, Snails, and C Major Scales. His recordings include projects with Agave Baroque and Ensemble Mirable as well as Night of Four Moons a CD of modern music for voice and guitar with mezzo-soprano Catherine Cooper on the Doberman-Yppan label. In 2006, he was honored as the Outstanding Doctoral Graduate in music from the University of Southern California, where he studied with William Kanengiser and James Tyler. Currently he leads the guitar program at Fresno City College. Hailed by The Miami Herald for his “superb continuo… brilliantly improvised and ornamented,” HENRY LEBEDINSKY performs on historical keyboards across the United States and the United Kingdom. 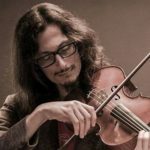 He currently plays with Consortium Carissimi, The Minnesota Bach Ensemble, The Vivaldi Project (DC), Quince (Boston), and Ensemble Vermillian (Berkeley), Live Oak Baroque Orchestra, Agave Baroque, and directs the period instrument ensemble The Seicento String Band. 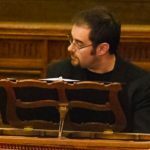 He has also performed with The Charlotte Symphony, The Oratorio Society of Minnesota, Seraphic Fire and the Firebird Chamber Orchestra, Boston Revels, and the Harvard Baroque Orchestra, among others. He is the founder of the Music @ St. Alban’s concert series in Davidson, North Carolina, and served as interim Artistic Director of Charlotte Chamber Music, Inc. and Director of Rochester, NY’s The Publick Musick. In addition to performing, Mr. Lebedinsky has taught masterclasses and workshops on historical keyboards and performance practice at the New England Conservatory, Bowdoin College, Davidson College, The University of North Carolina at Greensboro, and Appalachian State University, as well as at the American Guild of Organists 2011 Region IV Convention. An avid composer of music for choir and organ, his sacred music is published by Carus-Verlag Stuttgart. His editions of vocal works of 17th century nun composers for Saltarello Editions have been performed around the world, most recently in France, South Korea, and Lebanon. Lebedinsky holds degrees from Bowdoin College and the Longy School of Music, where he earned a Master of Music in historical organ performance as a student of Peter Sykes. He currently lives in Minnesota, where he serves as Music Minister at St. John in the Wilderness Episcopal Church in White Bear Lake and directs the WaterMusic Concert Series.